President Trump's decision to end payments to insurers that help make health coverage affordable for millions of lower-income Americans under the Affordable Care Act blew up what would have been a year of relatively low rate increases in Pennsylvania. 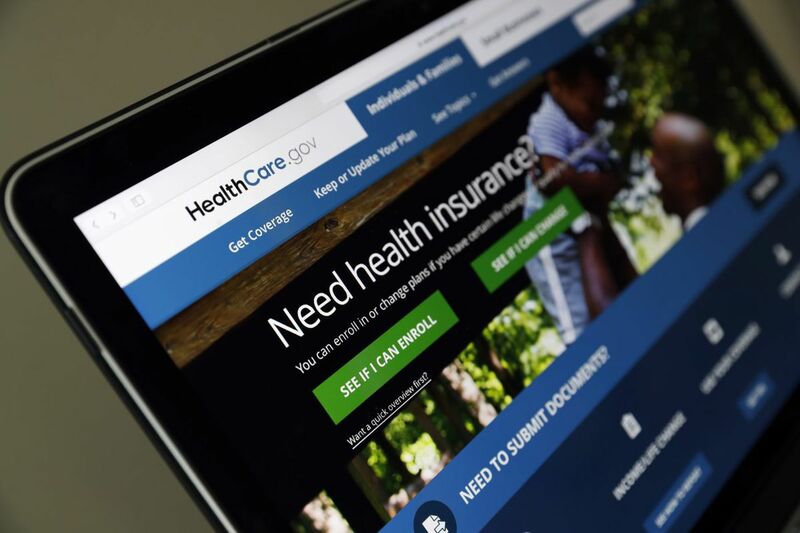 The Pennsylvania Department of Insurance on Monday announced that it had approved average rate increases of 30.6 percent for individual plans to be sold next year both on and off the ACA health insurance exchange. But acting Insurance Commissioner Jessica Altman said state regulators were trying to limit the impact on Pennsylvanians by maximizing the tax credits that reduce the premiums most consumers pay. Earlier projections showed that rates would increase 7.6 percent, in a sign that the health-insurance market for ACA plans was settling in Pennsylvania. Altman blamed Trump and Congress, which has not appropriated money for the payments, called cost-sharing reductions. The federal government pays cost-sharing reductions directly to insurers as a supplement to help cover out-of-pocket costs, such as co-pays and other costs beyond the premiums, which can be subsidized through refundable tax credits. "This is not the situation I hoped we would be in, but due to President Trump's refusal to make cost-sharing reduction payments for 2018 and Congress's inaction to appropriate funds, it is the reality that state regulators must face and the reason rate increases will be higher than they should be across the country," said Altman. Democratic Sen. Bob Casey called the dramatic rate increases "the direct result of President Trump's sabotage of our health-care system." Republican Sen. Pat Toomey could not be reached for comment. The fear is that high rates will drive healthy people out of the market, leaving only the individuals who know they need to use health-care services. That could result in the long-predicted "death-spiral" of the federal insurance exchanges, as the remaining insurers ditch the markets to save their own financial health. Under the Pennsylvania insurance department's plan to limit the impact of the lost payments, it directed insurers to load silver plans with the biggest increases because the price of the second-lowest silver plan determines the amount of refundable tax credits. Silver plans are also the only plans eligible for the cost-sharing-reductions (CSRs). When the sticker price of the second-lowest cost silver plan goes up, consumers do not necessarily pay more because the subsidy also goes up. The other "metallic" plan levels are bronze, gold, and platinum, which has the highest premiums and the lowest out-of-pocket costs. "By loading the impact of the CSRs on silver, we believe that's the best way to mitigate the impact on consumers," Altman said. Those who don't get the subsidy will see lower increases than they would have if the loss of the CSRs had been spread over all plans. About 80 percent of the more than 400,000 Pennsylvanians who bought ACA exchange plans this year receive subsidies and are not expected to see the full impact of the increases. The trick is going to be to get the roughly 85,000 Pennsylvanians who have unsubsidized exchange plans to shop carefully and consider plans being offered off the exchange without a disproportionate increase, Altman said. "If we can do that and do that well, the number of people who will see the full impact of this rate increase should be very small," Altman said. Independence Blue Cross, the only company offering plans in Southeastern Pennsylvania for the second year, illustrates the possibility of finding a better deal outside of the federal marketplace. The Philadelphia company's most popular plan, selected this year by 54 percent of its roughly 150,000 ACA members in Pennsylvania, will cost 24 percent more next year when it is purchased through the exchange, where subsidies are available. Sold off the exchange, directly by Independence, a virtually identical plan will cost 8 percent more next year, company officials said. "If someone knows they are not subsidy eligible, they are better off going off the exchange because they can get the product at a much lower price," said Kathryn Galarneau, Independence's chief actuary and underwriting officer. Open enrollment for 2018 plans starts Nov. 1 and runs through Dec. 15. Altman said the insurance department would again collaborate with Consumers Checkbook on an online tool to compare plans so consumers can decide whether it is better to buy a plan through the exchange or directly from an insurer. The tool, updated with 2018 information, will be available on the insurance department website Monday.